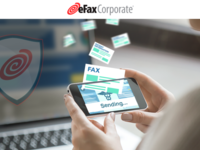 eFax Corporate is a secure cloud fax service that lets businesses send and receive faxes by email from any device whether it be a PC, laptop, smartphone or tablet. We help many businesses cut costs, reduce management overhead and increase productivity while maintaining regulatory compliance and enhancing security. 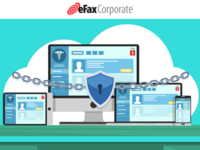 eFax Corporate uses TLS encryption and AES 256-bit encryption for faxes in transit and at rest. eFax is also HIPAA compliant. eFax Corporate Reviews Recently Reviewed! Pros: eFax allows end-users to send documents online. eFax offers a free trial to send 150 pages per transfer. 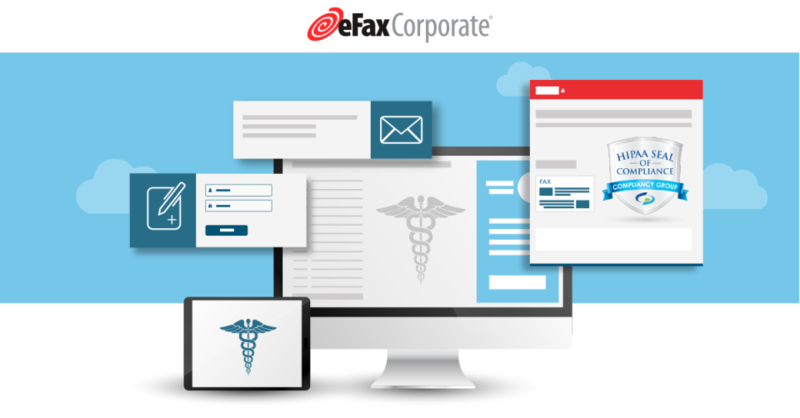 eFax allows end-users to send 150 incoming as well as outgoing faxes per the free trial. eFax does not require an initial activation fee. eFax allows end-users to select personal faxing number. eFax offers two types of subscriptions such as Plus and Pro with two different types of feature prices. Cons: eFax at one point in time was a free service and now requires payment. eFax interfaces with a third party cloud storage. eFax collects cookies and session cookies ID per user and their computer. eFax company server stores personal information that may identify the user. 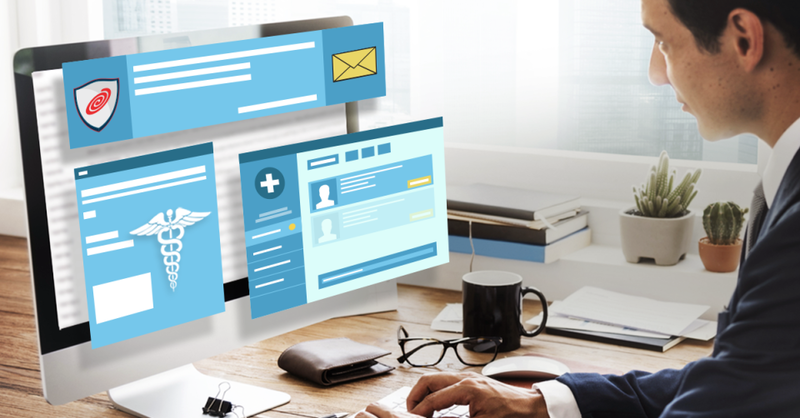 eFax is required to maintain information per user for a limited time, within the terms of agreement of privacy, that time frame is unidentifiable. 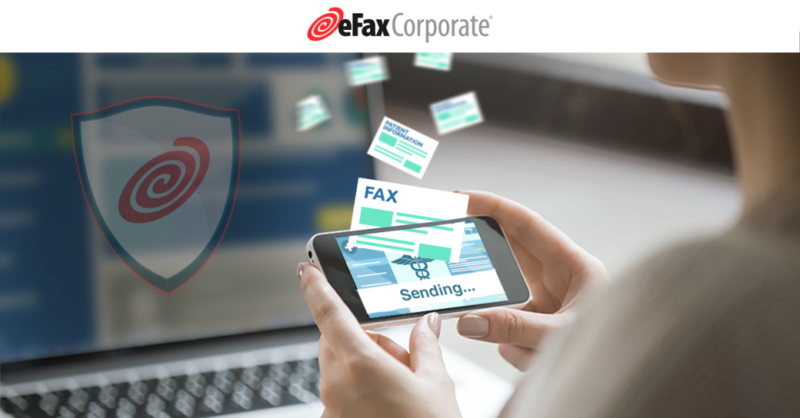 Overall: eFax by J2 offers end-users the ability to send secured faxes online. 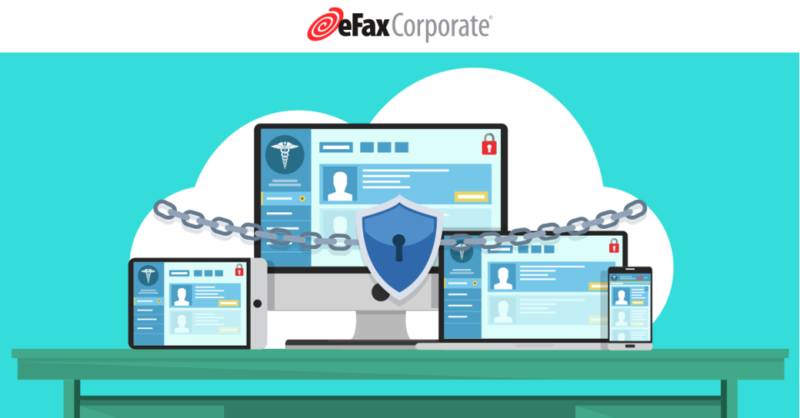 End-users can use eFax by J2 to send faxes via a computer desktop, laptop, or mobile device. The benefits of eFax is sending outgoing or receiving incoming faxes via a personally selected fax number. eFax allows users to manage account online. eFax is a great online faxing tool. Pros: A like my personal eFax number. I don't have to wait for someone to look up the faxes for me. I go in my fax and access directly. The system saves your faxes for a long time. You can create folders to save the fax into. Sending faxes is easy and it saves the contacts especially when you have multiple requests from a certain agency. Faxes are clear. I love my eFax. Cons: It is hard when you only have one number to send and receive faxes to especially when someone other than you handles the faxes. I don't like when you get faxes repeatly from other businesses that do not belong to you. Pros: I love how easy this is to use and the level of integration it has with our software. We send and receive faxes for it with very few problems. Their customer support team is out of this world. The longest I've waited for a reply was under an hour and that was because our direct rep was on a plane. We commonly have less than 5 minute response times. They give good price breaks on quantity.. we send and receive about 70,000 pages per month and get a great rate. Much more economical than maintaining standard machines. Cons: There are obscure file\page size limits on faxes sent through their API. They have a new version but it does not work with our software yet. Pros: While faxing is quite antiquated, the healthcare industry has not yet widely adapted a replacement. Until then, this seems to be the next best thing. You have the same compatibility as traditional faxing, but are able to reduce clutter and free floating sheets of paper which could lead to HIPAA violations. Cons: At the end of the day its still fax, which makes it less than ideal but its the standard used by the rest of the industry. Pros: Easily send or receive a fax. Upload items directly to your computer and easily send them via fax to a fax machine/number. Ease of setup and use/very user friendly. Cons: Nothing fancy or unique here. This is a basic electronic fax software. Interface is a bit 'outdated' looking but that doesn't obviously affect the functionality and ease of use of the software. Pros: I suppose for big corporations (or law firms, where I once worked and eFax supplied everyone with their own fax line), this is a good product. However, even when I used it at the law firm, I did not always get notification as I should have, or as fast as I should have, of the receipt of a fax. Or confirmation of a fax. It's nice to have the history of the faxes you've received, so you can go back and get something if you need to. Obviously it does integrate well, it's basically pretty easy to use (if you can operate a regular fax machine, you can run eFax), and it's been around a while. But for the individual user or small companies, really, it's much too expensive, especially since there are so many other free or very cheap options out there. The "free trial" is a joke. Don't waste your time if you're going to sign up for it, just so you can send a quick fax, thinking you will cancel before the free trial ends. They're going to get money out of you one way or the other. Keep that number to your credit card's charge dispute line ready. If you only send the rare fax, bounce over to HelloFax instead and send it for free. Or set up the fax option in Microsoft and fax directly from your word processing software. Cons: Expensive, shady "free trial" that bills you no matter what, doesn't offer anything in terms of increased efficiency or performance that I can't get from using a free or already installed on my machine service. Pros: Ease of setup, ease of use and the ability to receive a fax anywhere at anytime. Also have mobile apps. Cons: efax is not HIPPA Compliant, however the same company owns sFax, which is not only HIPPA compliant they have a BAA available for its customers. I am currently in the process of moving much over to sFax. 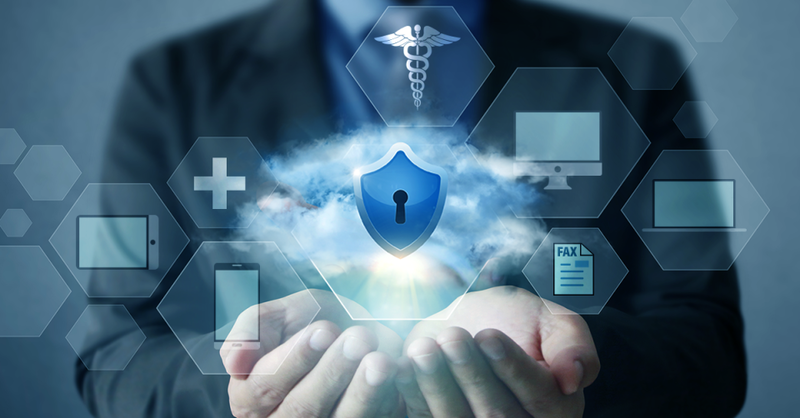 Pros: HIPAA compliant, virtual fax system which allows our multi-office healthcare practice to manage all fax volume (especially inbound faxes) without having to buy multiple machines, train multiple staff, etc. eFax was willing to provide a Business Associate Agreement (BAA), which is necessary for compliance. Cons: We changed after getting consistent complaints from clients and other providers that they're faxes were not going through. We even lost a referral source due to their exhaustion with us not getting their referrals and records. When we found a lower priced option, we beta-tested it on a parallel basis and switched after 30 days. Also, their interface feels a little antiquated and quirky compared to the other provider we switched to. 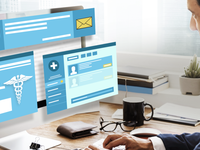 Overall: Needed a virtual fax system that allows our virtual practice administrators to check inbound faxes and allow our clinicians to send outbound faxes without having to buy equipment for our 15 offices. Also allows us to avoid having to allocate and secure space within our office for HIPAA compliance related to faxing. Pros: The most important thing to me about this software is the contact list. 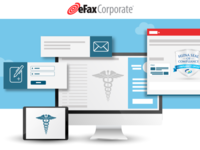 I use efax corporate in my lab to send results to our clients and my contact list is extensive but efax can handle all of the 100+ stored contacts. Cons: The only thing I don't like is having to add a 1+ before each fax number. If you forget the 1+ the faxes will not go through. Overall: Overall I'm very satisfied with efax I use it everyday. Pros: We started using eFax's services roughly a year ago. I can tell you right now, we've never had an issue. It was setup seamlessly and has worked without any issues since. eFax allows us to have remote workers now, which is awesome! Cons: I have absolutely no complaints about eFax. I would recommend them to any business that is looking to do away with their fax machine. Reasonably priced, cloud based secure fax solution. Easy to adopt and fairly straight forward use. Pros: Reasonably priced way to adopt a secure, cloud based fax solution. Access inbound and outbound faxes from any device with a browser, securely. Automatic e-archive of fax communications. Cons: The performance for us is just very slow. I don't know if this is due to the encryption implementation or what, but the faxes are slow to load across different browsers and from different PCs. Not a deal killer, but annoying. Overall: Quick deployment of a cloud based, secure/encrypted eFax solution. Didn't break the budget. I tell my friends to find a better solution. Pros: Works to send a fax electronically . Not magic or unique. Cons: I signed up for their service four months ago using the free one month trial. After trying the service once, found another free tool so searched for online for how to cancel my free trial. There appears to be no way to on the site cancel the trial. So send an email requesting the cancelation of the account no response. Tried again and with no response. At the end of the first month, they charged me for the following month. I then called and there was no option in the call menu to cancel service (you are directed to the site) so I selected technical support. The tech rep said he would cancel. He did not and again charged for another 2 months. Then sent another two emails. No response. Got charged again. Finally went to bank and canceled my credit card. I tell my friends to stay away. They've been down for 1 week and they cannot provide an ETA! Cons: It takes forever to retrieve your inbox. Down for 1 week and no ETA what more can I say? Worst service ever! Pros: What I like most is the convenience of having a fax on my phone or computer. Faxing from my email makes work so much easier. Pros: We were able to integrate eFax in to a web app quickly and easily, and draw out received files without a lot of hassle. Cons: Setting up multiple lines was a little confusing at first but we were able to make this work without problem. Pros: It is great to be able to fax from anywhere and not need to have a traditional machine and tie up a phone line to send and receive faxes. Cons: Sometimes it is slow to send faxes or fails. Also, steps to add in the receiver's info could be streamlined. Cons: We signed up for their service three months ago using the free one month trial. After about two weeks, we realised that the service was not what we needed so send an email requesting the cancelation of our account. At the end of the first month, they charged us for the following month (obviously not cancelling the account before the free trial ended). We then sent another email and a letter. We then got charged again and have now send another letter and email as well as advising our bank we would like to charge back the charges to our credit card as they where un-authorized. Wish us luck! 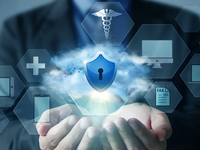 Pros: This software allows our company to communicate with our clients in the clinical community and ensure our patients private information stays private! Cons: We find that the pricing could be more competitive. Pros: Functionality was clunky but worked as intended. I was able to receive confirmation of my fax getting submitted which was ok.
Pros: It did exactly what I'd hoped for, allowed me to upload files and fax them. Cons: The interface looks like it's from the early 90s and could use help.